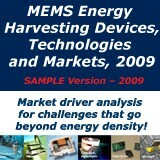 Most of the sensor-oriented research and industry initiatives are focusing on sensor networks, data security, exchange protocols, energy optimization, and features related to intermittent connections. Recently, the concept of Internet-of-things gathers attention, especially when integrating IPv4 and IIPv6 networks. The followup and complementing event SENSORDEVICES 2011, The Second International Conference on Sensor Device Technologies and Applications, initiates a series of events focusing on sensor devices themselves, the technology-capturing style of sensors, special technologies, signal control and interfaces, and particularly sensors-oriented applications. 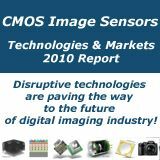 The evolution of the nano-and microtechnologies, nanomaterials, and the new business services make the sensor device industry and research on sensor-themselves very challenging. LONDON – 17 November 2010 – The sensors market in medical applications is poised to see rapid growth, driven by the constant demand for better and improved healthcare, sensors’ rising importance in almost all medical devices, further developments in sensor technology and newer medical applications for sensors. 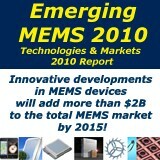 New analysis from Frost & Sullivan (http://www.sensors.frost.com) Sensors Market in Medical Applications, finds that the market earned revenues of $6,051.8 million in 2009 and estimates this to reach $12,445.6 million in 2016. The following sensors are covered in this research: pressure, temperature, flow, accelerometer, bio, encoders, SQUID and image sensors. Rising healthcare costs, aging population and the need for medical diagnosis and treatment in developing and underdeveloped regions are driving the sensors market in medical applications. In addition, various world economies are expected to continue to drive trends in the sensors market in medical applications, both from a growth perspective and technology/product advancement perspective. Sensors can increase the intelligence of life-supporting implants. They can be used in new types of monitoring applications to support a better quality of life for patients. In addition, the sensors can be employed for identifying advanced symptoms and preventing serious illnesses, where possible. The slower rate of penetration of advanced medical systems in developing regions remains a key constraint for the market. Educating end users and creating awareness about the benefits and role of advanced sensors in preventing illness and saving lives can boost the penetration rate. 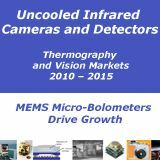 In addition, as the prices of advanced medical sensors are reduced and affordable, their penetration rate is set to increase in developing and underdeveloped regions. If you are interested in more information on this study, please send an e-mail to Joanna Lewandowska, Corporate Communications, at joanna.lewandowska@frost.com, with your full name, company name, title, and contact details. 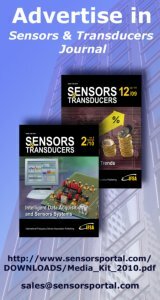 Sensors Market in Medical Applications is part of the Sensors & Instrumentation Growth Partnership Services programme, which also includes research in the following markets: Sensors in HEV/EV Applications and, Sensors Outlook – Europe. All research included in subscriptions provide detailed market opportunities and industry trend that have been evaluated following extensive interviews with market participants.